A: A question asked by many. In short, swirls are fine to deep scratches in your paint. An example can be seen here. Q: Where do Swirls Come from? A: The majority of swirls come from improper washing. “How can you wash a car improperly?” you’re probably thinking…well in reality, most wash jobs are not up to par, for quite a few reasons. Dirty Washing Tools: Quite simply, dirt and debris dragging across your paint can very easily scratch and mar your paint. The above photo was of a 2011 Camaro SS. This car was hand washed weekly at the local ‘upper end’ car wash, and yet still the above damage was caused.How? Because dirty wash mitts, brushes or drying towels can and will cause scratches. Think about it, if you drop a mitt on the ground, pick it up and start rubbing it across your paint, what do you think will happen. Or what if the same mitts that washed the mud covered pick up before you then get used to wash your car? 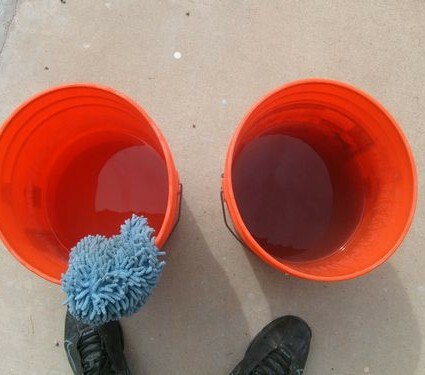 Dirty Wash Water: Ever look at the water in your bucket after you wash your car? Chances are it looked a little something like this, if not worse. Dirty/Old Drying Towels: A towel is not just a towel, there is a difference. Coarse towels or towels with dirt/debris in them are just scratches and swirls waiting to happen. A soft, plush, clean and preferably micro-fiber towel is the best option for drying your ride…for us, it’s all we use. Furthermore, while the cheap microfiber towels you find at Sams Club or Wal-Mart may have a place in detailing, that place should not be on your paint. We use certain towels JUST to dry paint, certain towels JUST for tire, certain towels JUST for interiors and so on. Watch the guys who dry your car next time you bring it to a car wash. Chances are they will use the same beat up looking towel to dry both your rims and your paint. Again, those are swirls waiting to happen. ​Q: My Car Already has Swirls, Can anything be done? A: In short, absolutely! 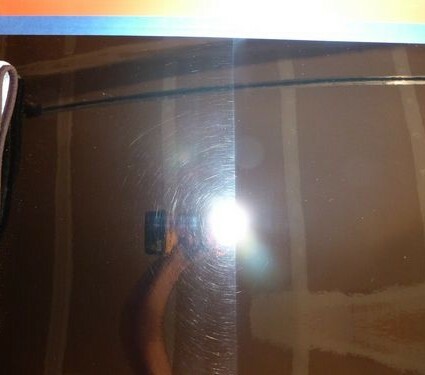 That same scratched and swirled Camaro seen in the first photo above was polished to a swirl free – high gloss shine by us.Here is a side by side, before and after shot. 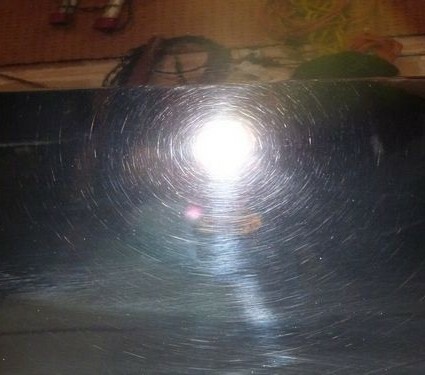 To the left, the un-polished/swirled finish we started with. To the right, the swirl free – high gloss shine.